Our newest auto repair shop is in Andover, Kansas. 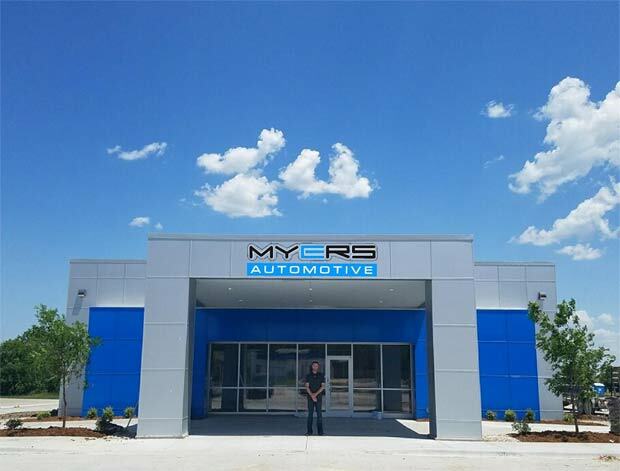 Myers Automotive opened our new location this summer and we’d love to have you stop by. Whether you need preventative maintenance, an oil change, or repairs, Myers Automotive in Andover is ready to serve! domestic, import, diesel, hybrid, and fleets. Our services are backed by a 3 year/36,000 mile warranty. If you would like to make an appointment, call our Andover repair shop at 316.768.7000 or book an appointment online.